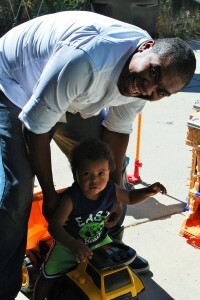 The Young Dads Achieving Careers program (YDAC) within Aurora, Colorado is the signature program of Glass Hearts. The program is designed to come alongside and guide young fathers ages 16-24 in successfully building all aspects of their lives—physical, mental, social, emotional and spiritual. Program components will draw on positive relationships to build key personal strength and skill-sets in the young fathers. We are serving the community through connections with Aurora High Schools, Aurora Recreation Centers, the faith-based community, and existing Aurora-based Non-profits. The common denominator is that they have no place to send young dads needing guidance, stability, and a job that will lead into a career. For more information, download our Aurora Promotional Flyer.